I am fortunate to be able to introduce a lot of people into paddle boarding, inspiring them to the love of the sport. 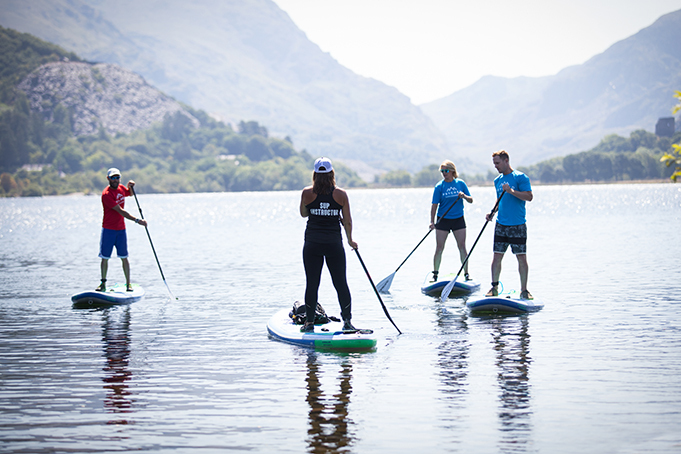 Within two hours of beginner SUP session, people get a flavour of SUP and learn the basics. In terms of progression, some people might just stay at basic level, with knees slightly bent and pootling along on a social paddle. However it’s advisable to up it to the next level to develop technique further, prevent injury, avoid sloppy habits, and to be able to paddle longer distances and adapt for different environments. The most common weaknesses in paddling often come from coping tactics. This is where a technique is learned that enables a paddleboarder to achieve the very basic paddling quickly with less perceived effort. They get a kind of result and are happy, but they haven’t learned the best way or process of paddling. The paddleboarder can practice their coping tactics so frequently that eventually it becomes reinforced. It is possible to hide behind coping tactics when the water is flat and the environment not too challenging but when put under pressure, these tactics are seldom a sufficient substitute for good technique, and ultimately the coping tactics and consequently any future skills built on them, are likely to fail. When I run a progression clinic I observe the client, then I ask them to mirror me – I use the technique they have been using during the session. Then I paddle my way, and I ask the client to copy. The client should be able to start to feel a difference between the two types of paddling. Once they have seen it and felt the differences it’s good to discuss and make a couple of adjustments and apply them. The key thing is to break the development into small pieces, with an opportunity for refinement, and consolidation. 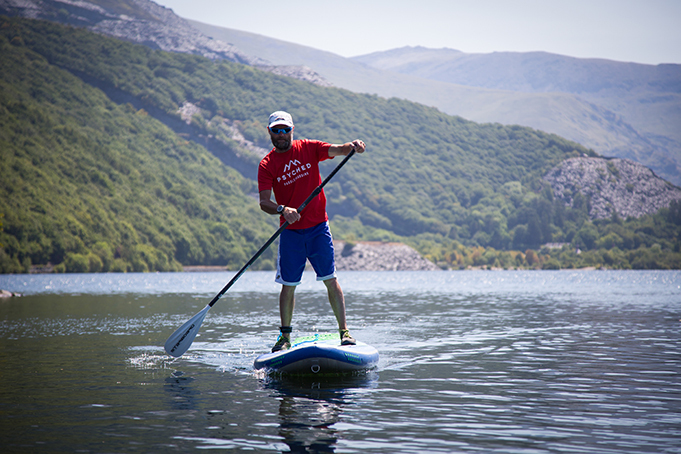 Some recommendations I give are to try adapting slight changes in how you hold the paddle, how your knees flex to avoid unnecessary bouncing which wastes energy and can lead to injury. 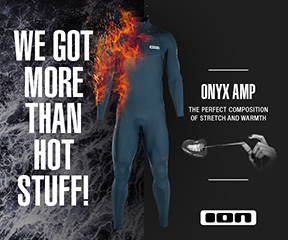 Notice what your paddle does: is it noisy, does it create a lot of mess in the water? Try pausing before you catch. What about the position of your arms? Try adapting with bent arms. Try changing the distance of you reach and notice difference between a short and longer reach. Try refining your technique so that both sides are perfect, keep paddling on your weaker side to improve! Try doing eight strokes one side and swapping. All this fine tuning and experimenting will allow you to notice difference in your own paddling. Once fine-tuned, you can adapt to a different environment and utilise the toolkit to the conditions accordingly. • Noise is a waste of energy. Aim to reduce noise so that all the energy you spend is directed to making the board move forward efficiently. • Pull, but only when the blade is in the water. Beginning the stroke with power while the blade is still in the air only creates a big splash when it enters the water. A big splash drags a lot of air, in the form of bubbles, down with the blade. Air around the blade is inefficient, and causes the blade to slip rather than grab. Place the blade in the water without splash, then pull with power. • Exit the blade quietly – a big gurgling splash at the end of the stroke probably means that the pull phase was too long in length – consider shortening the stroke length. Also, reduce the pulling power before lifting out, let the water settle and slip the blade quietly out of the water. • Bobbing up and down – excessive bobbing is a loss of energy. All the paddling energy should help you travel forward, making a big bouncy wake is energy spent making waves, not propelling forwards. Avoid excessive rise and fall of the hips, hold a slight knee bend. • Use arms as levers, not as the engine. To go faster, or to develop upwind power, paddle with arms extended (but never locked) and let all the power come from the torso – make those abs, lats, pecs and glutes work! Sian is a fully qualified International Mountain Leader and SUP instructor in Wales, UK and runs her own business Psyched Paddleboarding www.psychedpaddleboarding.com Sian has travelled the world, building up vast experience of leading expeditions to Nepal, Mongolia, India, China, Peru, Morocco, Iceland, Europe and the Alps. 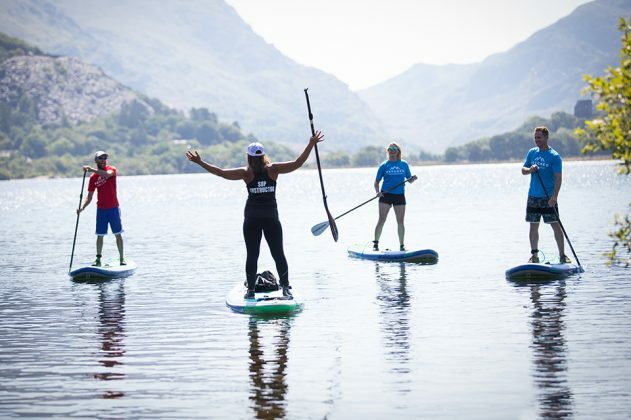 Sian’s mission is to inspire others to SUP and to offer high quality SUP training and safety advice. She offers memorable stand up paddle boarding adventures whether hiking to a tranquil wilderness lake, exploring stunning coastlines and of course leading SUP expeditions.